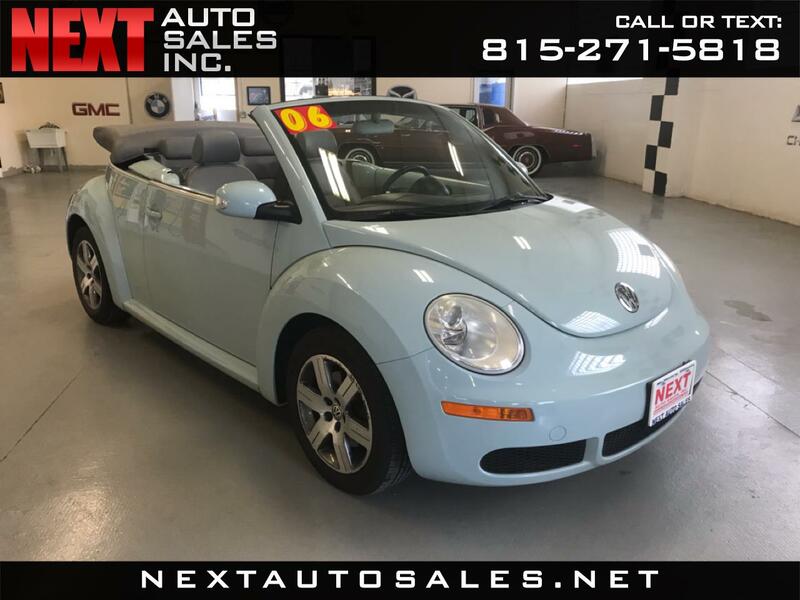 Used 2006 Volkswagen New Beetle Convertible 2dr 2.5L Manual for Sale in McHenry IL 60050 Next Auto Sales Inc.
Next Auto Sales proudly serves the McHenry County, Lake County, and Wisconsin areas. From the moment you step on our lot until the time you drive away in your next car, your buying experience with us is our number one priority!Visit Next Auto Sales today at 1112 Front St. in McHenry, Illinois or call us today 815-271-5818 to schedule your test drive! Message: Thought you might be interested in this 2006 Volkswagen New Beetle Convertible.